I am sitting here wishing I could be in a different head space that I have been in for the last year and a half. All I want in this world is to be back to doing well. I can’t help but think something better is coming my way. I just want some type of breakthrough with whatever the heck is going on with the continued symptoms that appear to not be subsiding. I just can’t lose hope. Hope is the essential to a person’s recovery. As part of my recovery, I need to create some structure to help me and this is something that I feel like my treatment team is failing at but I share the responsibility as I am the one the is responsible for my daily life not my treatment team. I’ve learned that personal responsibility in my recovery is something that no matter how a person is doing symptom wise people respect you. I just need to take personal responsibility in make sure things don’t get worse. One way I do that is doing Dialectical Behavioral Therapy (DBT) skills. Skills that have been quite helpful for me over the years. If I do my DBT homework I know that I will be able to do my skills. I think after doing DBT homework, I’ll do some art. Specifically, painting and collaging. Art helps me express my emotions in a way I am unable to do so in other ways. 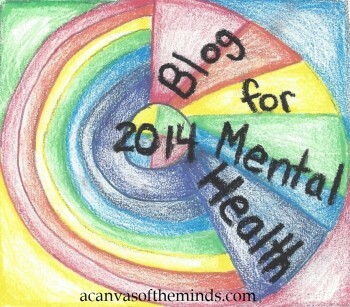 This entry was posted in bipolar disorder, Therapy and Therapists, Uncategorized. Bookmark the permalink.